The Allen School’s Professional Master’s Program (PMP) is designed for fully-employed professionals who are interested in continuing on their career paths while acquiring critical skills to move them into positions and projects of greater responsibility and impact. The PMP offers unique benefits to working professionals, including an opportunity to interact with other talented area professionals in a flexible, part-time learning environment that blends focused academic coursework and exciting colloquia offering practical engineering and development insights and tools. PMP students learn from the Allen School’s world-class faculty who are internationally known for their technical contributions and commitment to educational excellence. Our faculty members bring the latest skills and knowledge, as well as their extensive experience, into the classroom to benefit students' professional development, products and projects. Now more than ever, staying current with the rapid rate of change in the computing field can make a significant difference in job performance and career opportunities. 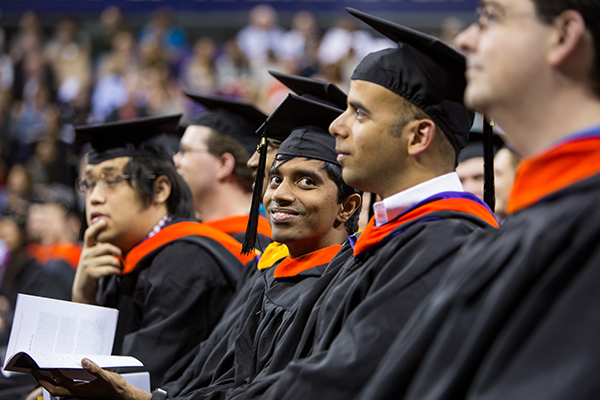 More than 800 software professionals have earned their Master’s degree part-time through the Allen School since the PMP’s inception in 1996. The Professional Master's Program at the Allen School has consistently recruited top computing professionals from across the Puget Sound region. The PMP is a part-time, evening program leading to a Master's Degree in Computer Science & Engineering that is designed with the schedule and needs of working professionals in mind. PMP students have an average of five years’ professional experience and hold undergraduate degrees in computer science, computer engineering, electrical engineering, math or related disciplines. View our detailed overview to find out if the program is right for you. More than 120 people apply for admission to the program each year, and around 60% percent of qualfied applicants are accepted. PMP admission is competitive. Selected students are almost all employed on a full-time basis in regional IT companies and are pursuing their master's degree to advance in their current career. The PMP program has three application deadlines per year: July 1 (for Autumn Quarter); November 1 (for Winter Quarter); and February 1 (for Spring Quarter). Learn more about prerequisites, required materials, deadlines, and other useful information in our admissions section. The Master’s degree can be earned in two and one-half years by PMP students by taking a total of 8 courses and obtaining 8 colloquium credits. Courses typically meet one weekday evening per week and cover a broad range of computer science topics. You can choose courses that suit your interests and work schedules and supplement them by attending or viewing online topical colloquia to complete the 40 required credits needed to earn your master’s degree. Most students take one 4-credit PMP course (their choice of four offered courses) and one 1-credit colloquium each quarter, for eight quarters. Explore the courses and colloquia that are available to our PMP students, along with instructions on how to register for classes and obtain colloquia credit towards your degree. Visit our online student handbook for essential resources and advice for PMP students at the Allen School, including practical information on textbooks, computing resources, library access, campus parking, and other topics. Meet David Rispoli, the PMP adviser who assists students to be successful in the Allen School's Professional Master's Program.